Elysian Fields are releasing ninth album “For House Cats and Sea Fans”. They are celebrating with a record release concert at Saturday, March 22 at Rough Trade NYC 64 N 9th St, Brooklyn. JG Thirlwell, who appears in the album, will be sitting in with them for the track he contributed to, “Escape from NY”. Also on the bill are The Aspiring Me at 9:00 and the legendary Melvin Van Peebles at 10:00. 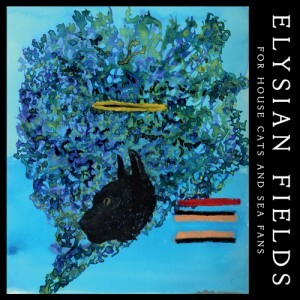 Elysian Fields hit the stage at 11pm.